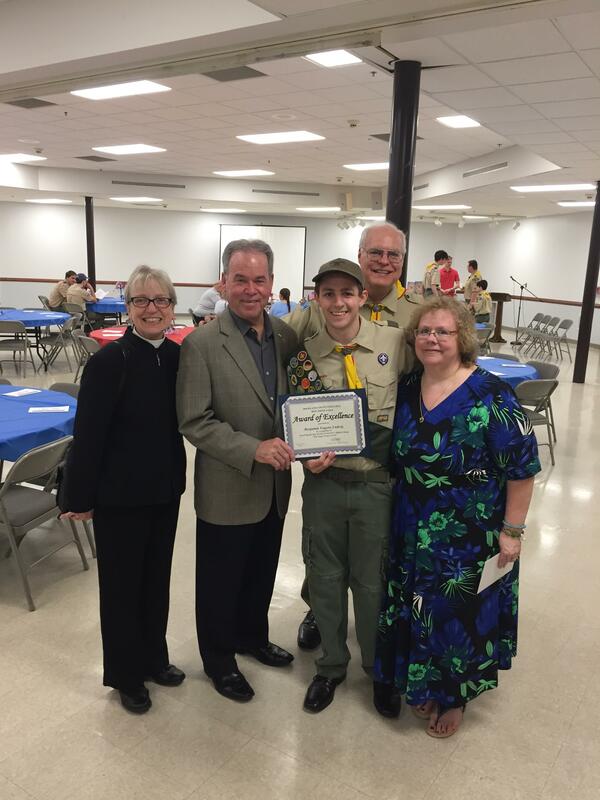 Rockland County Executive Ed Day congratulated Clarkstown North High School senior Benjamin Ludwig of Troop 79 on becoming an Eagle Scout at his Eagle Scout Court of Honor. His community service project included the beautification of the front of Saint John’s Episcopal Church in New City. Drainpipes were lengthened to lead water away from the building and top soil was added to allow water to flow away from the foundation. Flower bulbs were planted and new benches were installed for churchgoers to enjoy. “Congratulations to Benjamin on receiving this prestigious honor. His hard work is greatly appreciated by all who frequent St. John’s Church,” Day said. Ludwig will attend SUNY Maritime in the fall and study mechanical engineering.